To say Dallas has a healthy nonprofit scene would be an understatement. In recent months, we at CultureMap have been taking a look at charities making an impact in the community, and the list of health and wellness-related organizations is the longest one yet. CultureMap's new Dallas Charity Guide, presented in partnership with Frost's Opt for Optimism campaign, is a one-stop resource for locals looking for ways to give back — including to the health of people in the community. Here’s a look at some Dallas nonprofits making an impact on health, healing, and wellness, from addiction recovery to curing childhood diseases and helping people age gracefully. Know of a group that should be added? Tell us here. MISSION: Ally's Wish provides a last "wish" to terminally ill mothers with young children. They do this by providing services, gifts, transportation, lodging, or any other "wish" the mother may have. Since its founding in 2014, the group has granted wishes to more than 40 moms. HOW TO GET INVOLVED: Those wishing to volunteer can fill out the registration form here. For information on becoming an in-kind sponsor of Ally's Wish, email info@allyswish.org. Donations are always accepted, and you can do so here. BIG EVENT: The annual Boots & Blessings gala is held every April and includes a cocktail hour, a seated dinner buffet, and live country-Western entertainment, with all funds raised benefiting Ally's Wish. MISSION: The ALS Association and the Texas chapter operate under a shared mission: To discover treatments and a cure for ALS, and to serve, advocate for, and empower people affected by ALS to live their lives to the fullest. HOW TO GET INVOLVED: As they pursue treatments and a cure for this disease, your donations enable them to improve the lives of Texans living with ALS. From donating funds to support the mission to hosting local fundraisers to raise awareness in your community, your time and effort can make a huge impact on people with ALS, their families, and their caregivers. Head here to learn more about how you can help. BIG EVENT: The Walk to Defeat ALS is an annual event held in communities all over Texas and throughout the country. Each local walk is between one and three miles in length. Participants raise money through donations from friends, family, coworkers, or neighbors. You can enter as an individual or as a team; many people create teams to honor or show support for loved ones with ALS. Head here to see when there will be a walk in your city. MISSION: The American Heart Association is the nation's oldest and largest voluntary organization dedicated to fighting heart disease and stroke. Founded by six cardiologists in 1924, the organization now includes more than 22.5 million volunteers and supporters. It funds innovative research, fights for stronger public health policies, and provides critical tools and information to save and improve lives. HOW TO GET INVOLVED: Volunteer opportunities include community events such as health fairs; signature charity events such as Heart Walk, Cotes du Coeur and the Go Red For Women Luncheon; or becoming a You're the Cure grassroots advocate. Call 214-441-4293 for more information. Go Red For Women is a year-long campaign designed to raise awareness and educate women about their risks of heart disease and stroke. The cornerstone of this movement is the Go Red For Women Luncheon, which focuses on heart disease and stroke prevention by promoting healthy lifestyles and raising money to support awareness, education, and research of heart health in women. Because every 80 seconds a woman dies of heart disease, even though 80 percent of those deaths are preventable through simple lifestyle changes, education, and awareness. The Cotes du Coeur event series is a premier fundraising campaign that culminates with an annual fine wine auction and celebrity chef dinner. This black-tie gala event is the largest of its kind, making it the No. 1 fundraising gala in the nation for the American Heart Association. Cotes du Coeur hosts approximately 1,200 business and wine industry leaders, community philanthropists, wine collectors, and physicians. Proceeds from Cotes du Coeur go directly to cardiovascular research and heart health educational programs, both locally and nationwide. Local Heart Walks, whose purpose is to encourage a heart-healthy lifestyle. MISSION: AmfAR, The Foundation for AIDS Research, is one of the world's leading nonprofit organizations dedicated to the support of AIDS research, HIV prevention, treatment education, and the advocacy of sound AIDS-related public policy. Since 1985, amfAR has invested more than $517 million in its programs and has awarded grants to more than 3,300 research teams worldwide. HOW TO GET INVOLVED: To get involved in amfAR, you can donate here. You can also become a corporate sponsor to help in amfAR's Countdown to a Cure, which is a research initiative aimed at developing the scientific basis for a cure by 2020. BIG EVENT: In Dallas, the annual TWO x TWO for AIDS and Art is held to collect donations for amfAR and the DMA. MISSION: Leading the fight for the arthritis community, the Arthritis Foundation helps conquer everyday battles through life-changing information and resources, access to optimal care, advancements in science, and community connections. Their goal is to chart a winning course, guiding families in developing personalized plans for living a full life — and making each day another stride toward a cure. HOW TO GET INVOLVED: Strong, outspoken, and engaged volunteers can help conquer arthritis. Become a Champion of Yes and search volunteer opportunities here. BIG EVENT: The Arthritis Foundation's Jingle Bell Run is a fun way to get decked out and be festive while racing to raise funds and awareness to cure America's No. 1 cause of disability. 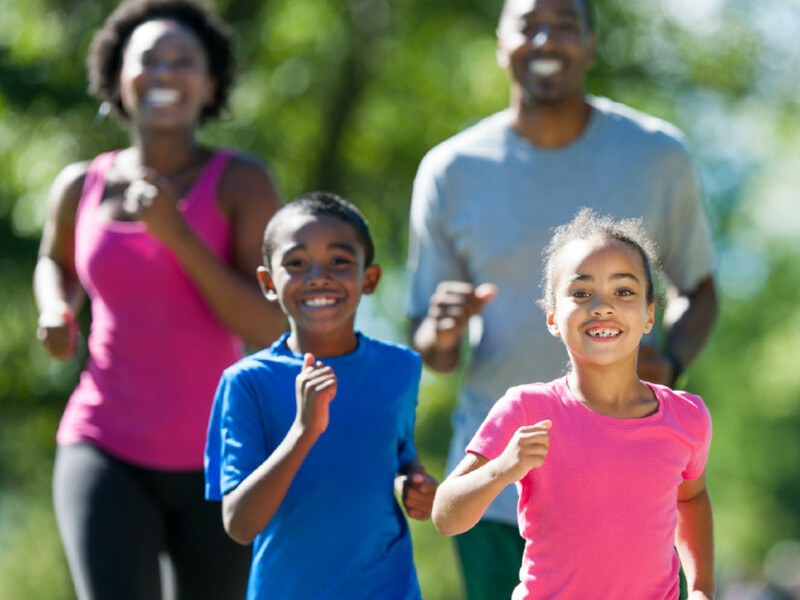 Bring a team of friends, family, and co-workers to run or walk, spread smiles and good cheer. 100 percent of your registration fee and fundraising efforts go to this great cause. For more help or information about the 2018 Jingle Bell Run of Fort Worth, contact Melissa Gower at mgower@arthritis.org, call 817-752-4440, or visit their website. MISSION: AWARE fights Alzheimer's disease by providing funding and support to programs, projects, and research in Dallas and the greater North Texas area. Founded in 1989 by a small group of passionate and civic-minded Dallas women, AWARE has raised and donated over $12 million so far in the fight to end Alzheimer's disease. MEMBERSHIP: AWARE offers memerships at a variety of giving levels. Benefits include being able to network with other members (many of whom have had a personal experience with Alzheimer's disease) and learning the latest information about the causes, treatment, and research on Alzheimer's through meetings, field trips, and speakers. BIG EVENT: AWARE's annual AWARE Affair is a spirited evening at the Hilton Anatole, with all proceeds benefitting AWARE's mission to fight Alzheimer's. The affair includes a cocktial reception, silent auction, and three-course dinner. MISSION: Best Buddies is the world's largest organization dedicated to ending the social, physical, and economic isolation of the 200 million people with intellectual and developmental disabilities. The programs empower the special abilities of people with IDD by helping them form meaningful friendships with their peers, secure successful jobs, live independently, feel valued by society, and improve their public speaking, self-advocacy, and communication skills. HOW TO GET INVOLVED: Volunteers are always welcome, and are encouraged to fill out a volunteer form to help match their skills with their local chapter's needs. MEMBERSHIP: Anthony Shriver started Best Buddies to support people with intellectual and developmental disabilities with the simple idea that a friendship can bridge gaps between people, a job can give people independence and pride, and self-advocacy can provide people understanding and empathy. Named in honor of Anthony's aunt, Rosemary Kennedy, Team Rosemary is Best Buddies' major giving association. Head here to join. BIG EVENT: The Dallas Gala is an incredible event, featuring a gourmet dinner, live and silent auctions, and a private concert, all to help support Best Buddies endeavors in Texas. MISSION: BvB Dallas is a young professionals organization that hosts a powder-puff football game for a day of fun, fellowship, philanthropy, and enjoyment as a way of raising money for Alzheimer’s research and awareness. Founded by sisters whose father was afflicted by Alzheimer’s, BvB is a personal way for young professionals across the country to raise awareness, funds, and support to help tackle Alzheimer's forever. MEMBERSHIP: The fee to join BvB Dallas as a participant is $100, and all funds are allocated to your personal overall fundraising goal. Fundraising begins after orientation, and sign-ups happen here. BIG EVENT: The annual BvB Dallas Powder-Puff Football Game is held at the Cotton Bowl with a 7:30 pm kick-off and an afterparty held on the front steps of the stadium immediately following the game. A $25 donation or more to BvB Dallas gains you entrance to the game and afterparty. MISSION: The mission of the Center for BrainHealth is to lead scientific research to enhance, protect, and restore the brain. Led by founder and chief director Sandra Bond Chapman, PhD, the Center for BrainHealth, part of The University of Texas at Dallas, is a research institute composed of independent labs that are responsible for more than 60 fully funded research projects that investigate brain health, injury, and disease. Major research areas include the use of functional and structural neuroimaging techniques to better understand the neurobiology supporting cognition and emotion in health and disease. BIG EVENT: The BrainHealth Legacy Award recognizes the pioneering spirit of individuals whose vision and dedication to brain research enable the organization to explore the vast potential of the human mind. The Center for BrainHealth’s Legacy Award Dinner, a special inivitation-only evening, is held annually to honor a worthy recipient or recipients of its Legacy Award. The memorable evening always promises to bring together those in the Dallas community who are passionate about brain health, brain research, and brain performance. MISSION: Children’s Cancer Fund (CCF) champions kids in their fight against cancer through strategic investments in research and care in North Texas. They are closely affiliated with Children's Medical Center and UT Southwestern Medical Center — by working closely with these respected organizations, Children's Cancer Fund is able to strategically focus their funds on improving treatment and care methods for North Texas children who are affected by all types of pediatric cancer. In addition, they are able to help improve the quality of their lives by bringing families who are going through treatments together through various fun and social events they sponsor throughout the year. HOW TO GET INVOLVED: There are various ways to become involved with the Children's Cancer Fund, from volunteering to joining the CCF volunteer committee or CCF board of directors and advisory board. BIG EVENT: The Children’s Cancer Fund Gala is the organization's signature event, an annual fundraiser for pediatric oncology research. The event features a dinner, auction, and program along with musical entertainment and dancing. A fashion show presented by Dillard’s and produced by RSC Show Productions features children who are undergoing treatment for cancer at Children’s Medical Center of Dallas as models. They are escorted down the runway by sponsors and celebrity guests. MISSION: As a Christian nonprofit organization, Feed My Starving Children is called to feed God's starving children who are hungry in body and spirit. This means reaching the hard-to-reach people and places, the "least of these." They will be found, and they will be fed. HOW TO GET INVOLVED: The best way to get involved at FMSC is to come to its food packing site in Richardson and volunteer to help pack life-saving meals for hungry children around the world. It's a two-hour commitment that includes a fun-filled session of education, activity, and a satisfaction of a task that truly makes the difference in children's lives. You can register to volunteer here. Although the Richardson site hosts packing sessions throughout the week, there are also other locations around DFW at various times throughout the year that allow for people to participate in"MobilePacks": events that last for one to three days. Additonally, Gill's Children's Services is always looking for advocates to help spread the word about their work. There are several ways to do so, including requesting brochures and applications to keep at your school, nonprofit, or medical/dental office, and inviting them to speak at your company or social club. BIG EVENT: For more than 15 years, the Corvette Club of Texas has generously provided over 200 Gill children with Christmas gifts. Every year, the club works with Gill to identify families who deserve some extra help around the holidays. MISSION: Grace Blankets was started in Kansas City but now branches out to 15 hospitals in six states, included Texas. It provides new NICU linens to children's hospitals, where the blankets are used for NICU bed linen rotation, givealways to needy families, sibling comfort, and bereavement circumstances. Grace Blankets currently gives to JPS Fort Worth, Cook Children's, Medical City Arlington, Medical City Las Colinas, and Houston Women's Hospital of Texas. HOW TO GET INVOLVED: You can host a blanket drive to supply a hospital in your area or mail new baby blankets of any size for Grace Blankets to disperse and donate to the hospitals it serves. BIG EVENT: Every summer, Grace Blanket hosts drives to accumulate new blanket donations for the upcoming year's hospital deliveries. MISSION: JDRF's mission is to accelerate life-changing breakthroughs to cure, prevent, and treat type one diabetes and its complications. HOW TO GET INVOLVED: Whether you donate your time or dollars, life-changing breakthroughs in T1D treatments and therapies couldn't happen without you. BIG EVENT: JDRF hosts many different events throughout the year, such as walks, bike rides, runs, and galas. To learn more about what JDRF is hosting, click here. MISSION: KidneyTexas provides funding to improve the methods of treatment, the search for a cure, and the prevention of kidney disease and other kindred or contributory diseases; and to develop more adequate provision for the care of persons suffering from such diseases. Since 1999, the dedicated volunteers of KidneyTexas have worked in tandem with their generous underwriters to raise $3.1 million for local efforts to improve the ability to diagnose and manage kidney disease. MEMBERSHIP: Membership levels start at only $40, and the enrollment form can be downloaded here. BIG EVENT: Each fall, KidneyTexas hosts its Luncheon & Fashion Show in an effort to raise money for designated beneficiaries and awareness for a disease that affects millions of people each year. The success of this event depends heavily upon the contributions and dedication of Dallas business and community leaders. MISSION: In October 2016, the Stamp family was devastated by the news that their four-year-old daughter, Layla, had a form of pediatric brain cancer called medulloblastoma. Even after surgery and months of chemotherapy and radiation, Layla's cancer returned. For 14 months, the family fought and tried every possible treatment available only to lose Layla on November 11, 2017, shortly after her fifth birthday. During their journey, the Stamps learned just how little funding there was for pediatric cancers and also how financially difficult it can be for families. Layla's Legacy was founded to create change in research, to be advocates of the disease, and to help support families by offsetting costs where needed. HOW TO GET INVOLVED: Donations support cancer research and help families who currently have a child being treated for cancer. In July, the second annual Tutus for Brain Tumors tees off at Gentle Creek Golf Club in Prosper. Registration and sponsorship opportunities are available. In September, the inaugural Gold Gala is an evening to honor Layla and the legacy that continues in her memory. Held at 3015 in Trinity Groves, the evening will include dinner, dancing, and fun while learning more about how your contribution is making an impact locally and across the state. Cocktails and the silent auction begin at 6 pm, followed by dinner and program at 7:30, and then a live auction. Black tie optional. MISSION: The Leukemia & Lymphoma Society (LLS) is the world's largest voluntary health agency dedicated to blood cancer. The LLS mission is to cure leukemia, lymphoma, Hodgkin's disease and myeloma, and improve the quality of life of patients and their families. LLS funds lifesaving blood cancer research around the world and provides free information and support services. HOW TO GET INVOLVED: You can help with advocacy, donating, volunteering, and fundraising. BIG EVENT: Light The Night is a series of fundraising campaigns that includes sailing, powerboating, and paddling in communities throughout the country in support The Leukemia & Lymphoma Society. Individuals form fundraising teams that help galvanize relationships between friends, family, and business contacts. The team that raises the most in their community receives the coveted Leukemia Cup. MISSION: March of Dimes leads the fight for the health of all moms and babies. Every baby deserves the best possible start, but unfortunately not all get one. For 80 years, March of Dimes has helped millions of babies survive and thrive. Now they're building on that legacy to level the playing field for all moms and babies, no matter their age, socio-economic background, or demographics. HOW TO GET INVOLVED: More than 3 million volunteers enable the March of Dimes to achieve its goals. Every year, these leaders march more than 5 million miles, speak to tens of thousands of people about the mission, and help raise millions of dollars. From the very earliest days, volunteers have been full partners in the March of Dimes, working to raise funds, heighten awareness, and implement critical programs to help support our mission. Another way to get involved is to donate here. BIG EVENT: The biggest event that the Dallas chapter of March of Dimes holds is the March for Babies in April. For more information on events in Dallas, click here. MISSION: At Nexus Recovery Center, dedicated professionals rehabilitate women caught in addiction. Through multiple programs — including parenting classes, counseling, and life skills training — women at Nexus are able to find healing and opportunity. Through programs like the intensive outpatient, supportive outpatient, and aftercare, as well as live-in options, Nexus provides multiple levels of care for every situation. HOW TO GET INVOLVED: Nexus Recovery Center offers countless possibilities for community members that want to give back, including classroom helpers (helping out the DISD teachers in the teen classroom), general office help, and becoming a teen girl mentor. To lean more, Nexus suggests scheduling a visit with volunteer coordinator Beth Hunter at bhunter@nexusrecovery.org. MEMBERSHIP: The Women’s Auxiliary of Nexus supports the women and teens who are receiving treatment at Nexus Recovery Center. Opportunities for involvement include membership levels from $50 to over $1,000. BIG EVENT: A Night for Nexus, Nexus Recovery's signature event, is an annual fun-filled night of dinner, dancing, and bidding in the newly remodeled Statler Hotel, featuring live music, cocktails, and a program. White party-themed, guests are asked to come dressed in all white. MISSION: One Wing Foundation raises funds and distributes financial assistance to organizations that provide resources for the medical, physical, and grief recovery of bereaved parents who have experienced pregnancy or infant loss. They provide education, research, programming, items for comfort, and healing pertaining to pregnancy and infant loss. HOW TO GET INVOLVED: Monetary donations, in-kind and auction item donations, third-party fundrasiers, and sponsored events are all welcome and greatly appreciated. Head here to learn more. Annual Olivia Aldredge Silent Auction & Benefit Concert, which serves as a kick-off to the Hudder Putter Classic held at Golf Club of Dallas the following day. Tickets include dinner, a high-end silent auction, open bar, and live music. Hudder Putter Classic, which is in honor and memory of Hudson John Schlieve, who was born sleeping at 33 weeks on May 27, 2015, due to a cord accident. While pregnant, his parents nicknamed him Hudder Budder. The tournament is a four-person scramble with a shotgun start, open to both men and women of all skill levels. The player registration covers cart and greens fees, a catered boxed lunch with two drink tickets for each player, complimentary beverages at the happy hour awards ceremony, a player gift bag with tournament hat, and other surprises along the course. Wine & Dine, which features an exquisite five-course dinner paired with specially selected wines. This event serves as an opportunity for One Wing Foundation to announce its beneficiaries for the year. MISSION: This not-for-profit pediatric clinic provides primary care pediatric health services with a highly competent and bilingual staff of medical professionals, trained office staff, and dedicated volunteers. By providing quality, compassionate, family-centered healthcare to North Texas children with limited access to care, children are given what they cannot access elsewhere: a chance at a healthy life. HOW TO GET INVOLVED: There are many volunteer opportunities available including: conducting a drive, helping on the gala committee, medical professionals assisting in the clinics, and special project assistance. For volunteer opportunities, please contact Alexis Aparicio at alexis.aparicio@pediplace.org or 469-322-3678. BIG EVENT: PediPlace has two major events: In November, the fourth annual Poker Party at the Lantana Golf Club, where for a $100 tax deductible donation guests will receive dinner, drink tickets, and starting chips. In February, celebrate PediPlace's 25th birthday with the gala held at the MCL Grand Theater in Lewisville. For more information, please contact Shari Markey at shari.markey@pediplace.org or 469-322-3660. MISSION: Planned Parenthood of Greater Texas creates healthier communities by providing comprehensive reproductive and related healthcare services, delivering science-based education programs, and serving as a strong advocate for reproductive justice in Texas. HOW TO GET INVOLVED: Your contributions and donations allow the organization to continue to care for the Texans who count on Planned Parenthood — no matter what. In addition to donating, you can also sign up here to volunteer at a local Planned Parenthood. BIG EVENT: The Dallas chapter of Planned Parenthood hosts an Annual Awards Luncheon, which is the signature benefit for Planned Parenthood in Dallas, raising funds to support high-quality healthcare and education services for low-income and uninsured clients. MISSION: The mission of Rainbow Days is to help children and youth in adversity build coping skills and resilience to create positive futures. In 1982, founder, CEO, and developer of CBSG Program Cathey Brown began Rainbow Days as a result of trying to overcome her own addiction and realizing that there were groups offered for adults with addiction, but nowhere for children to receive support. Today, with more than 35 years of experience, Rainbow Days has expanded services to include an array of alcohol, tobacco, and other drug prevention programs, serving nearly 180,000 children in the Dallas community alone. In addition, 42,000 professionals across Dallas, the state of Texas, and the nation have been trained to implement Rainbow Days’ nationally recognized Curriculum-Based Support Groups or other accredited prevention programs with children in their own communities through the Trans4m Center. HOW TO GET INVOLVED: Volunteer positions with Rainbow Days range from helping with summer camps to the annual back-to-school celebration. In order to promote safety and protect those that they serve, all potential volunteers are required to participate in a background check screening. Head here to start the sign-up process. MEMBERSHIP: The Auxiliary of Rainbow Days builds a strong membership of individuals who share Rainbow Days’ mission of inspiring and preparing children to live a life filled with hope and promise. They serve as community advocates to increase awareness of Rainbow Days and the programs and services it provides, as well as strengthen Rainbow Days through financial and volunteer support. BIG EVENT: The annual Pot of Gold Luncheon, hosted by Attorneys Serving the Community and benefiting Rainbow Days, is a festive and fun event held at the Hilton Anatole. The luncheon, which each year features a keynote speaker, brings together more than 1,000 individuals and raises over $250,000 for the programs and services of Rainbow Days. Each summer, Rainbow Days' Camp Bravo welcomes nearly 300 children residing in local homeless and domestic violence shelters for two weeks of performing arts camps. Camp Bravo provides homeless children between the ages of 4 and 12 the opportunity to spend time away from the shelter to discover new talents, explore the arts, and have the unforgettable experience of performing live onstage. Classes include music, drumming, visual arts, dance, acting, cooking, video production, and more. MISSION: When serious illness or injury strikes a child, parents shouldn’t have to worry about anything else but getting that child the care he or she needs. That’s the premise upon which Ronald McDonald House of Dallas (RMHD) was founded. The only organization that provides a home-away-from-home for families whose children are receiving treatment at local hospitals, RMHD exists solely to ease the burden, reduce stress, keep the family intact, and enhance these families’ quality of life. RMHD does that by providing a caring, home-like atmosphere in which families can stay. It offers 52 bedrooms with private baths, as well as six suites with fully equipped kitchens. The organization also provides daily home-cooked meals, transportation, laundry facilities, and activities for parents and siblings such as crafts, games, movie nights, and seasonal celebrations. And Ronald McDonald House does all of this at little or no cost to the families, so they can stay focused on what’s most important: healing their children. HOW TO GET INVOLVED: Consistent individual volunteers help keep things at the RMHD running smoothly, through both daily house operations and special events. Individual volunteers must commit to volunteering at the House for at least three months There are currently three main volunteer categories that work in weekly, three-hour shifts: front desk volunteers, kitchen volunteers, and family activity volunteers. Head here to apply. MEMBERSHIP: RMHD's Young Friends auxiliary organization plays an important role in helping raise money and awareness to further the House's mission of meeting the needs of seriously ill children and their families, and consists of young men and women who are professionals, couples, and singles looking to give back to their community. Young Friends participate in a number of fundraising and social activities that benefit RMHD. All proceeds from the membership drive and annual fundraiser directly support the operations of the Ronald McDonald House of Dallas. BIG EVENT: Since 2006, RMHD's signature fundraising event, Under the Moonlight, has raised more than $2 million. Each year, RMDH celebrates and raises support for their services with one of the greatest parties in Dallas. MISSION: The mission of St. Jude Children's Research Hospital is to advance cures and means of prevention for pediatric catastrophic diseases through research and treatment. Consistent with the vision of founder Danny Thomas, no child is denied treatment based on race, religion, or a family's ability to pay. HOW TO GET INVOLVED: The regional fundraising offices in Dallas, San Antonio, Austin and Houston put on hundreds of fundraising events, such as galas, golf tournaments, and walks and marathons, throughout the year in those cities and surrounding areas. If you are interested in supporting St. Jude, there are several committee openings and event day volunteer opportunities. MISSION: The Suicide and Crisis Center of North Texas, which has been in continuous operation since 1968, is located in Dallas but they answer calls throughout DFW as well as calls for two national crisis lines. Each month, 1,500 people in crisis call the center (214-828-1000) to speak to a trained, caring counselor. Anytime, day or night, someone always answers. In addition, the Suicide and Crisis Center of North Texas offers a survivors of suicide a support group, crisis debriefing services, and in-service trainings. HOW TO GET INVOLVED: Training classes for the crisis line are offered a minimum of twice a year. The extensive training requires attendance at classes for ten consecutive weeks, one evening a week. After the training and internship is completed, volunteers are asked to commit to one three-to-four-hour shift per week for at least six months. Shifts are available 24 hours a day. If you are interested in volunteering to be a crisis line volunteer, call 214-824-7020, email volunteer@sccenter.org, or complete and submit this online form. BIG EVENT: A chance meeting between Margie Wright, executive director of the Suicide and Crisis Center of North Texas, and Yvonne Crum took place at a charity event. This meeting lead to Margie asking Yvonne to help raise $25,000 by organizing an event around the issue of suicide that potential donors would want to attend. Crum realized the best way to involve the community in raising awareness and funds was to select a dozen women annually to serve as fundraising ambassadors. 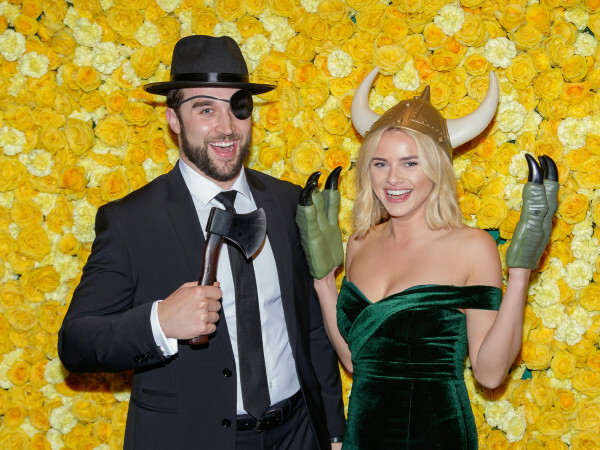 These ambassadors, or Fashion Stars, work tirelessly to promote and sell raffle tickets for The Suicide and Crisis Center of North Texas' annual Fashion Stars for a Cause, which is a celebration of fashion and compassion. Since the beginning of Fashion Stars, more than $2 million has been raised to provide hope and save lives. MISSION: Susan G. Komen's mission is to save lives by meeting the most critical needs in communities and investing in breakthrough research to prevent and cure breast cancer. HOW TO GET INVOLVED: To get involved, you can vounteer, share your story to insipre others, host a fundraiser, or donate to Susan G. Komen. 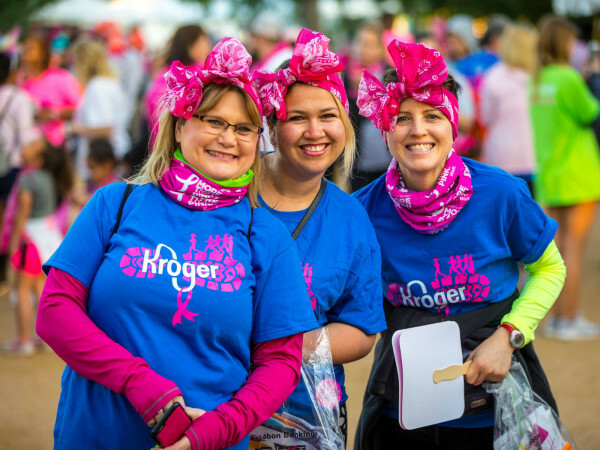 BIG EVENT: The 36th Annual Susan G. Komen Dallas Race for the Cure will be held on Saturday, October 27th, 2018. MISSION: Talk About Curing Autism (TACA) is dedicated to educating, empowering, and supporting families affected by autism. For families who have just received the autism diagnosis, TACA aims to speed up the cycle time before effective treatments can begin. TACA helps to strengthen the autism community by connecting families and the professionals who can help them, allowing them to share stories and information to help improve the quality of life for people with autism. HOW TO GET INVOLVED: TACA’s volunteer opportunities range from administrative support to general support to becoming an events and fundraising committee member to helping with special events. Contact the TACA volunteer coordinator for more information and current available volunteer opportunities. MISSION: Taylor’s Gift was founded in 2010 with a mission to regift life, renew health, and restore families. The foundation is a resource dedicated to assisting families touched by organ donation, and is changing the conversation surrounding the gift each of us has: the ability to outlive yourself. HOW TO GET INVOLVED: Register and learn about being an organ donor online here and join in at an upcoming event in the Dallas area. BIG EVENT: The Outlive Yourself Awards in September are an opportunity to celebrate incredible individuals who have made an extraordinary impact in their community and truly embody the "outlive yourself" spirit by giving back to others. Taylor's Gift takes the traditional golf tournament and jazzes it up with Topgolf in The Colony in October. MISSION: The Aging Mind Foundation addresses and supports critical issues unique to the aging mind, including research, treatment, education, and advocacy. Since inception, the Aging Mind Foundation has raised over $1.2 million to fund high-quality brain research in the North Texas area. HOW TO GET INVOLVED: The Aging Mind Foundation supports organizations that are doing research specifically focused on finding the cause and cure of Alzheimer’s disease and other dementias. It is only through donations that they are able to fund this type of high-quality brain research and work toward creating a world that is not afflicted by this incredibly cruel disease. BIG EVENT: The annual Aging Mind Foundation Gala has quickly become one of Dallas' most anticipated parties, attracting more than 200 patrons eager to further the organization's mission. In The Joule's beautiful Praetorian and Mosaic ballrooms, guests gather for a multiple-course dinner, live auctions, and entertainment. Bidding gets competitive for fabulous auction items, including trips, dining, and luxury experiences. The festive evening concludes with dancing and desserts on The Joule’s rooftop terrace. MISSION: The Elisa Project (TEP) is dedicated to the development of healthy children and adolescents by promoting the awareness and prevention of life-threatening disordered eating through education, support, and advocacy. Elisa Project clients include people living with symptoms of unhealthy relationships with food, including disordered eating, obesity, eating disorders, and more. TEP serves more than 30,000 individuals annually. Currently, about half of their clients live in the North Texas area, and more than 70 percent of their clients have monthly incomes less than $1,000. HOW TO GET INVOLVED: Aside from varoious volunteer opportunities, TEP also trains ED campus ambassadors. Being an ED campus ambassador is a high-profile position on campus for the educator who is the most passionate advocate and warrior fighting against eating disorders. ED campus ambassadors are dedicated to becoming the most knowledgeable resource, and to promoting the awareness and prevention of eating disorders at their school. TEP provides ED campus ambassadors with educational tools, ongoing ED training, and social event ideas that can benefit their students, parents, faculty, administrators, and community. BIG EVENT: The Elisa Project's annual Life Lessons Luncheon raises important funds and features a highly-anticipated speaker each year. Past featured speakers have included Olympic medalist Nancy Kerrigan and actress Chrissy Metz. The inspiring afternoon includes a reception and seated luncheon. MISSION: The mission of The One Society is to support Children's Health Children's Medical Center by engaging and fostering young leaders to make life better for children through philanthropic, educational, fundraising, volunteer, and social opportunities. HOW TO GET INVOLVED: The One Society depends upon membership and donations. When you donate to The One Society, you are helping to support numerous programs and their main beneficiary, the Children's Health Children Medical Center. MEMBERSHIP: The One Society is a membership-based organization. A portion of the proceeds go to the main beneficiary, Children's Health, and to designated inner-hospital programs as selected annually by the board. If you're interest in becoming a member of the organization, please reference the offering levels and proceed through the online enrollment process here. BIG EVENT: The Night In White occurs in September and is an annual evening of celebration for members and friends to come together in support of children in need and their families. MISSION: The Warren Center advocates, serves, and empowers the children and families impacted by developmental delays and disabilities. Fifty years ago, very few resources existed for parents of disabled children in Dallas County. With nowhere to turn for community-based services or help, families lacked support and their children had limited options in life. The Warren Center was created in 1968 and for decades has provided much-needed resources and care to children with disabilities and their families. Grassroots efforts and proven successes paved the way for an increase in community and parental awareness. As the organization experienced growth, it began adapting the programs to meet the changing needs of families. HOW TO GET INVOLVED: Volunteer opportunities at the Warren Center range from helping to keep the facilities in shape to volunteering at events to helping create thank-you artwork: framed finger paintings created by children at the Warren Center. BIG EVENT: The Warren Center's annual Art of Music Gala is a unique experience that takes each year’s theme and creates a magical time for all attending. Renowned musicians compose original scores and then pass them to artists who use it as inspiration to create one-of-a-kind works of art. The result is a black-tie optional night of celebration and performance, as each original composition and its inspired work of art is performed and unveiled for the first time. MISSION: It all started with Trigger, a therapy lab who cheered up kids in the hospital and eventually inspired an organization that does all it can to alleviate the financial and emotional stress on sick children. The group is flexible with how it invests the money it raises, so that it always goes where it's needed most. Care packages. Physical therapy equipment. Financial support for families in need — just some of the ways they're making a difference to hospitalized children. HOW TO GET INVOLVED: 100 percent of donations fund joy and normalcy to the most precious of patients and the parents and doctors they depend on. BIG EVENT: DFW's best bartenders come together in September for the Ultimate Cocktail Experience, which in 2017 raised more than $225,000. MISSION: UNICEF USA works to put children first all over the world through fundraising, advocacy, and education for UNICEF’s global mandate here in the United States. They are working toward the day when no children die from preventable causes, and every child has a safe and healthy childhood. UNICEF works in 190 countries and territories around the world and has helped save more lives than any other humanitarian organization. With every dollar donated, 88.4 percent goes directly toward helping children all around the globe. HOW TO GET INVOLVED: Although its offices are located in Dallas and Houston, UNICEF's engagement and activations cover the entire state of Texas. Students can get involved with UNICEF’s work by joining their local UNICEF club, currently operating in 67 schools in Texas. Participants support campaigns and put on fun events to raise money for UNICEF. UNICEF USA implemented the original Kids-Helping-Kids program with the iconic Trick-or-Treat for UNICEF. Kids can support their peers throughout the year with UNICEF Kid Power, which allows kids to get active and save lives by tracking physical activity through the Kid Power band and app. Kids run, jump, and dance to unlock funding from partners which UNICEF uses to deliver lifesaving nutrition to severely malnourished children. The more kids move, the more lives they save. To date, over 10 million packets of lifesaving nourishment have been unlocked saving over 70,000 lives. UNICEF Next Generation is a group of young leaders, entrepreneurs, and innovators who commit their resources, resolve, and enthusiasm toward supporting UNICEF’s lifesaving work. Members study issues that affect children around the world and choose UNICEF projects to support through education, advocacy, skill sharing/remote volunteering, and fundraising. Through their activities, members mobilize their networks and inspire their generations to take action on behalf of the world's most vulnerable children. BIG EVENT: In Texas, the major annual events include the UNICEF Gala Dallas and the UNICEF Gala Houston. 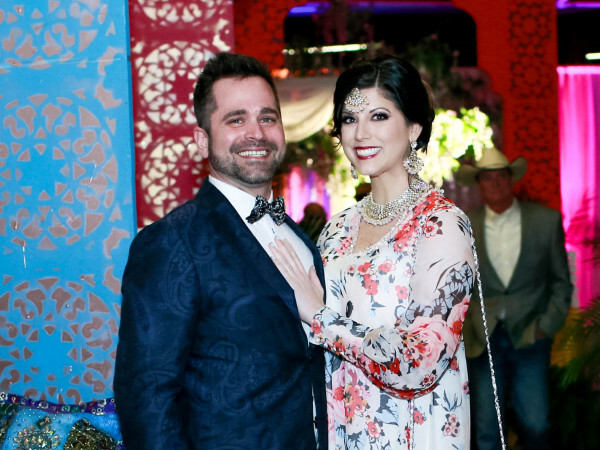 The next Dallas and Houston galas will be held February 1, 2019, and May 3, 2019, respectively. Both are black-tie affairs honoring outstanding humanitarian leaders and celebrating UNICEF’s mission. Head here for more information. MISSION: The Yellow Rose Gala Foundation was first established by founders Dee and Jimmy Wynne in April 1986, shortly after Dee’s diagnosis with multiple sclerosis. From 1986-2001, the gala became one of the most prominent social events in Dallas, netting over $5 million for MS research. Wynne’s disease eventually prevented her from continuing with the gala but it didn’t impede the imprint she made. That final fundraiser, in 2001, was one for the record books. It netted over $2 million, with performances by The Eagles, Stevie Nicks, and Trisha Yearwood. Following Dee Wynne’s passing in 2014 and in honor of her memory, the Gala has since been re-established by her children, Todd Wynne and Fallon Wynne Way, with the help of young active community leaders and past Yellow Rose supporters. The Yellow Rose Gala Foundation is partnering with the National MS Society, where 100 percent of the net proceeds raised will go directly to progressive MS research. HOW TO GET INVOLVED: To donate directly to the Yellow Rose Gala Foundation, head here. BIG EVENT: The titular Yellow Rose Gala is an elegant, black-tie evening with live music, auctions, and special celebrity guests. MISSION: Yoga N Da Hood is a 501(c)3 nonprofit organization dedicated to making wellness accessible to everyone. It uses yoga as a tool to develop compassionate, healthy, and mindful individuals, families, organizations, and communities. Yoga practice is very beneficial to a healthy lifestyle, but it is also a very pricey way of living. They believe that the practice of self love should be affordable to everyone. Yoga N da Hood offers no-cost yoga classes and compassion workshops in various place throughout DFW. HOW TO GET INVOLVED: Reach out here to find ways to get involved with Yoga N Da Hood. MISSION: Young Texans Against Cancer (YTAC) is an independent, nonprofit organization comprised of young men and women who have been affected by cancer and are seeking to become more actively involved in the cancer community. The organization is focused on raising funds for local research and support organizations, using its member base to increase awareness of volunteer organizations, and helping to educate the community on cancer research. HOW TO GET INVOLVED: You can sign up to be a member of Young Texans Against Cancer, donate here, or volunteer. MEMBERSHIP: Young Texans Against Cancer has four different types of membership: $50 for an individual annual membership, $85 for a couples annual membership, $350 for an individual lifetime membership, and $500 for a couples lifetime membership. To learn more and become a member, click here. BIG EVENT: Young Texans Against Cancer hosts a variety of signature events: STRUT: Fashion Show; Chili Cook Off; YTRAC: Young Texans RACE Against Cancer; BubblyQ; and Drive Away Cancer: Golf Tournament. On top of those signature events, they also host smaller functions in which members can socialize, advocate, and network.